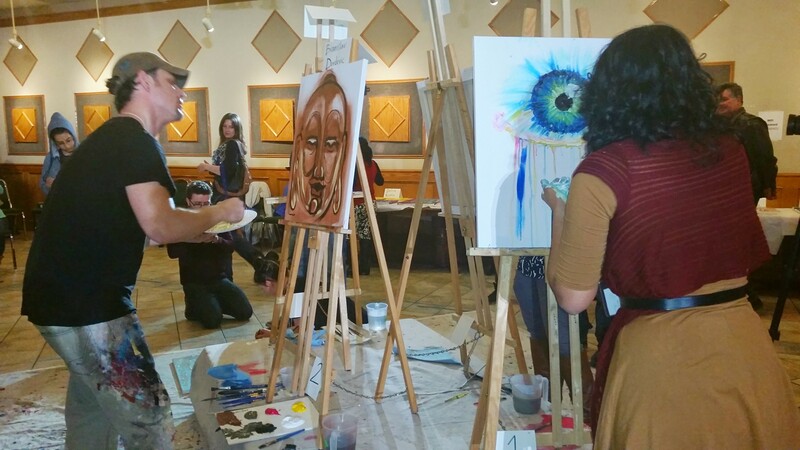 If you who haven’t heard about Brampton Art Battle through the grape-vine, let this be your introduction to Brampton’s most exciting premier competitive painting series. 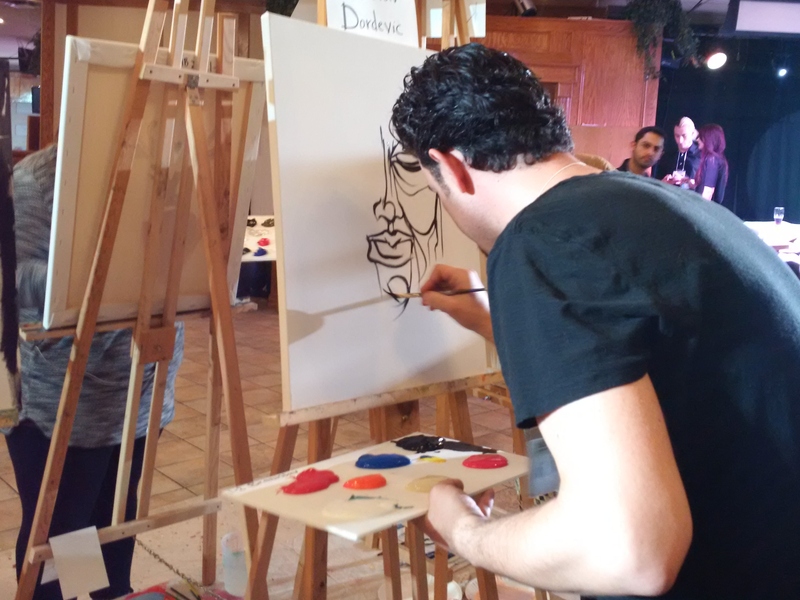 The art battle consists of three rounds in which participants are allotted just 20 minutes to create a masterpiece, as voted by the audience. During each round, spectators can circle the artists at work, watching as a blank white canvas is given life in under 20 minutes. Artists bring their brushes and their bravery to this competition of artistic brawn, but by the end of the night, there must be a winner. 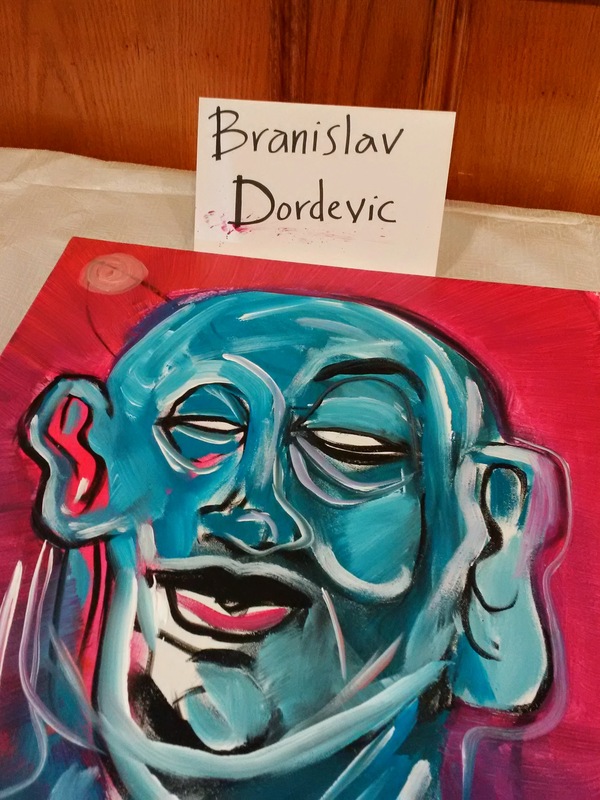 This event’s top painter, Branislav Dordevic, won a solo show at Beaux Arts Brampton and a membership to the Brampton Arts Council. 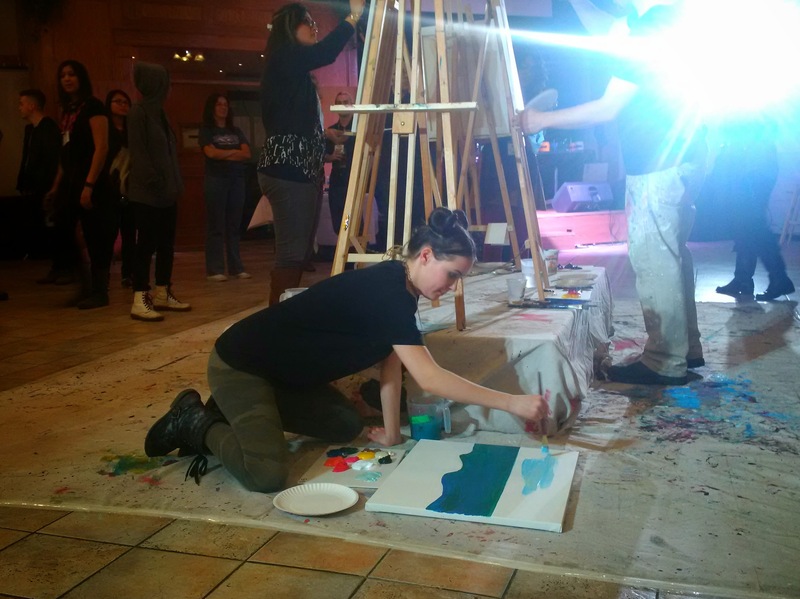 Brampton Art Battle is brought to us by a team of four local artists: Kevin Hunt, Crystal Lori Boyd, James Flux and Sam King, in partnership with local arts institutions and studios. 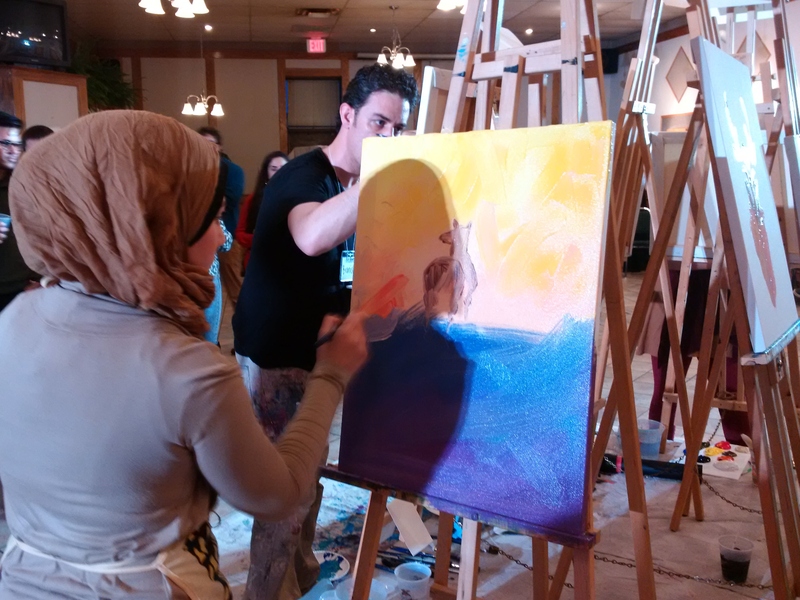 Besides these partnerships, the Brampton Art Battle team is essentially on their own, financing events out-of-pocket for the pure love of local arts and culture. 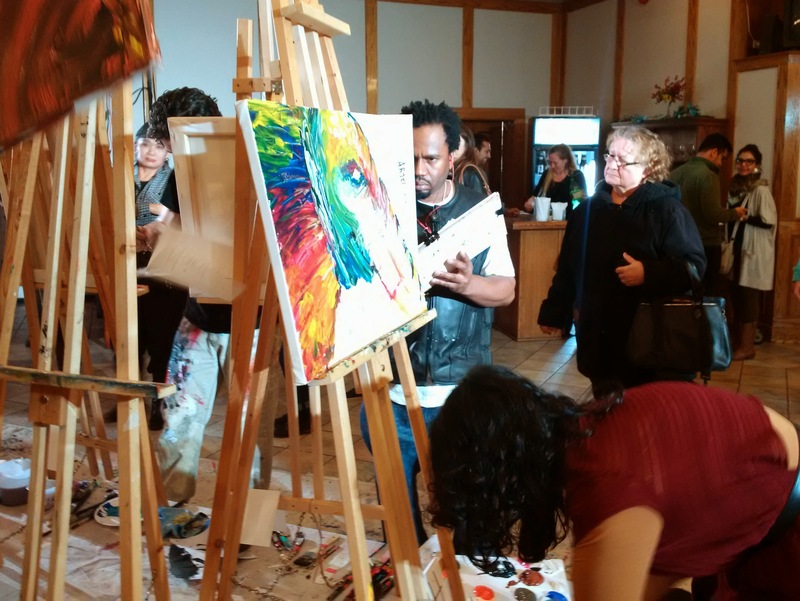 The team is dedicated in their fight to retain Brampton artists and art lovers, who would normally venture deep into the east for their culture fix. Brampton Art Battle is a bright, uniquely competitive event that proves that artistic talent is alive and well in the suburbs, no need to snub what we have going on here. For those of you who missed out, worry not! 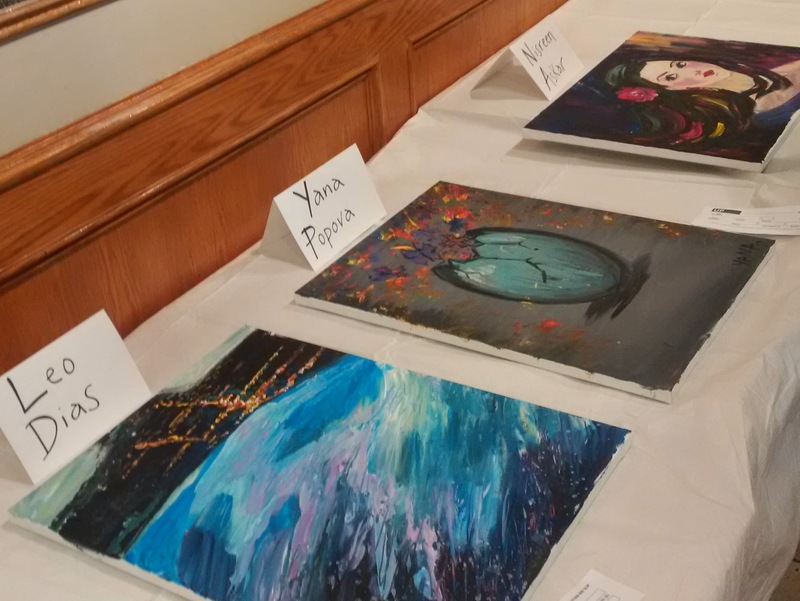 The next Brampton Art Battle will be held on May 14. 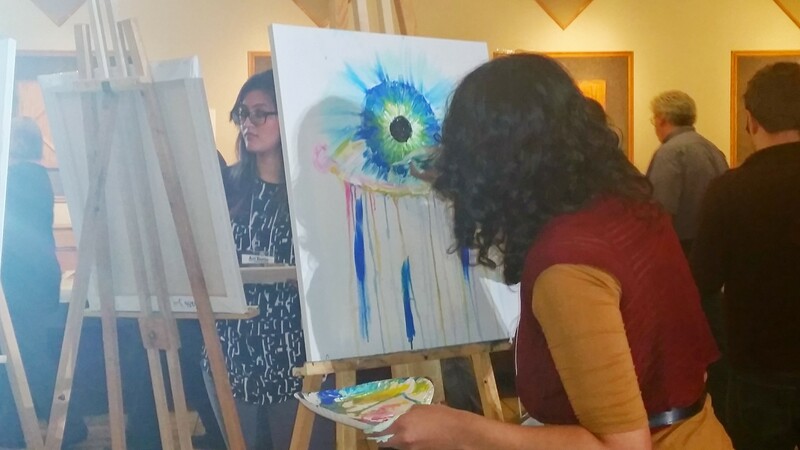 The Brampton Art Battle finals will take place on June 11. 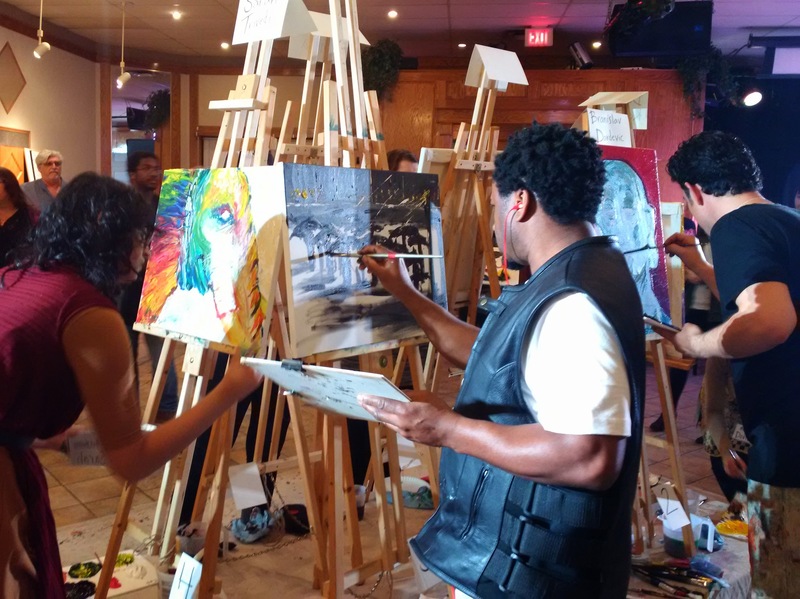 Come out and see which local artist will go on to represent Brampton in the National Art Battle Championships later this summer! 4C: What did you do to prepare for Art Battle prior to the competition? Sarah: To prepare for the first round, I basically stared at an image of the face of an elephant for a week, understanding the wrinkles and lighting. I didn’t study for the second round and I think you can see a huge difference because of that. I think I’ll continue to study what I’m going to paint for the next Art Battle. I’ll never actually practice painting my ideas though. That ruins the fun as it becomes repetitive. Sonia: I had no preparation for Art Battle. My aim was to just go at the canvas with whatever ideas came to mind. 4C: What are you feeling in the 5 minutes before the competition begins? Sarah: I was pretty nervous at first, I felt the adrenaline rushing. I had a glass of wine and I definitely felt it kick in. That eased some of the tension and reminded me that Art Battle was supposed to be fun. Sonia: As the time came up for my round, I started to feel anxious and was unsure about what I was doing. I was thinking about the colours on my palette and all the ideas that could work within painting in 20 minutes. Thoughts that went through my mind were: “Should I change my canvas’ position? What can I come up with so fast? What is quick to do?” It was a bit nerve-racking not knowing what to expect from myself. 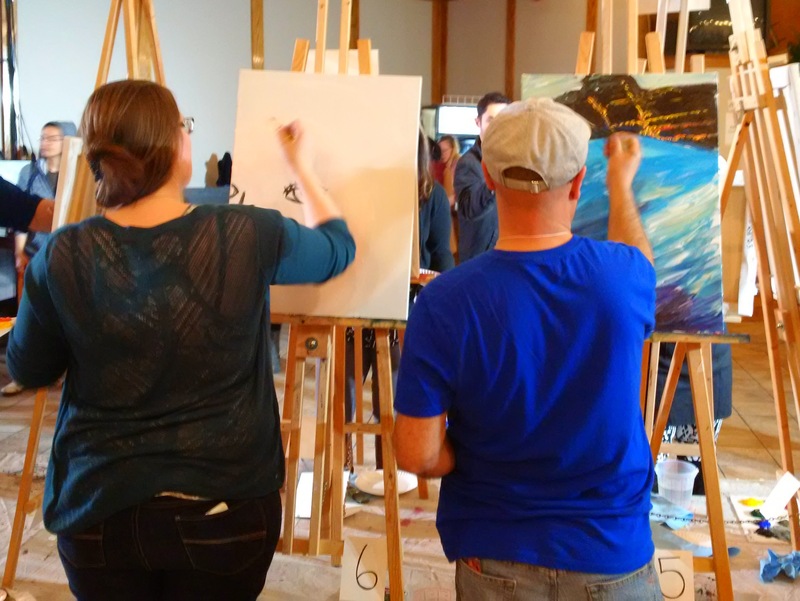 4C: In Art Battle, you have only 20 minutes to complete a painting amidst a large crowd. 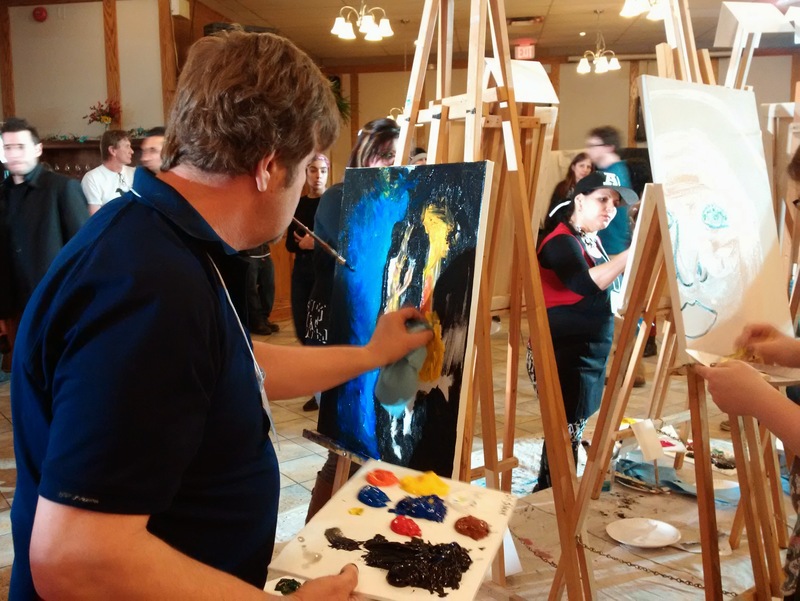 How did your artistic process differ during Art Battle versus in your studio? Sarah: I paint when I’m in the mood to paint. When I feel like I’m going nowhere with a painting, I can start over or improve it later. 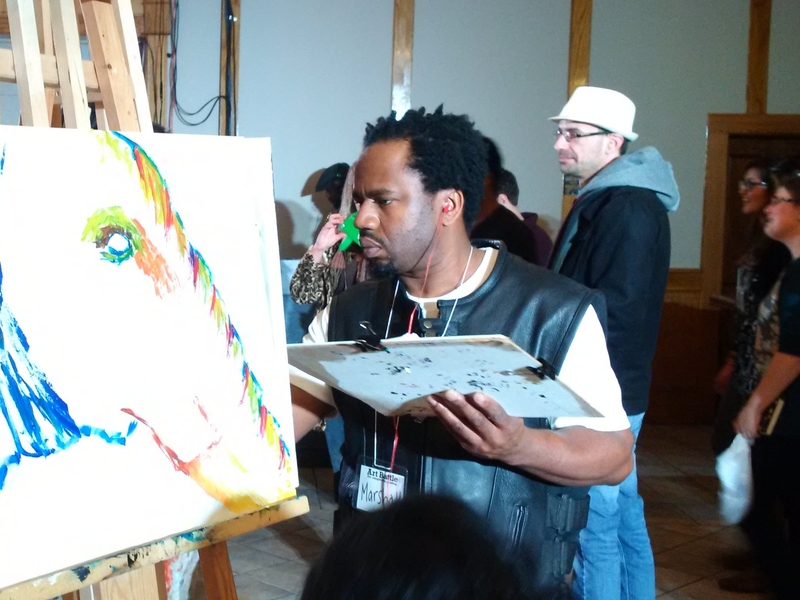 In the 20 minutes at Art Battle, there is no choice but to paint. I have to finish even if I hate it. There isn’t time to evaluate or improve my work. You just pour your artistic heart out in a hurry and hope for the best. 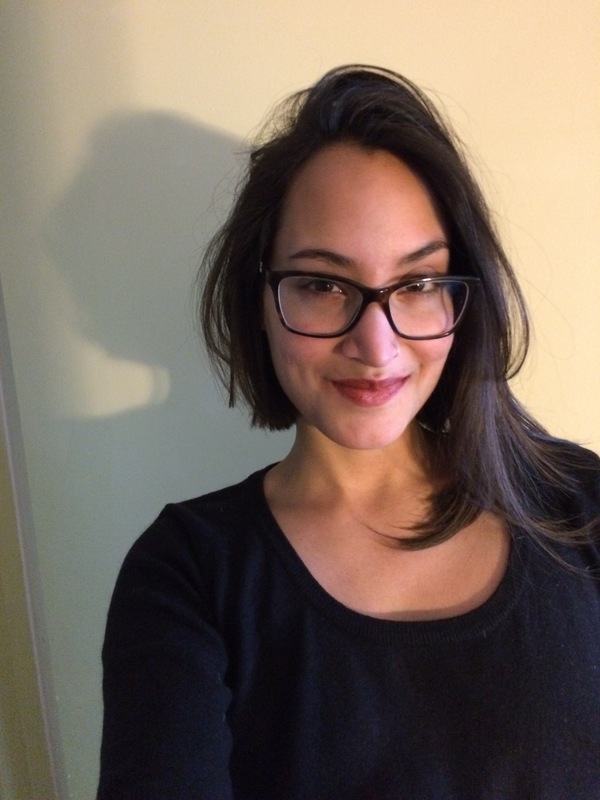 Sonia: I asked my fiancé about how my art differs from the ones I do at home and he said that in the first round, my strokes had an element of stress in them. For the second round, I felt more relaxed and just went with whatever I felt. That is why I like that piece more. In my studio, I am used to working in my own time. I take an hour or two, sometimes a week, to create pieces. I enjoy researching and taking time to think about what to paint or draw first. 4C: How did the audience’s presence affect you? Sarah: Surprisingly, it didn’t affect my nerves too much. I was kind of concentrating so much that I barely noticed. Once in a while I would hear comments in the background. I liked that because they often made me laugh. People were guessing what I was painting. It was nice to see how excited people were about my art work. 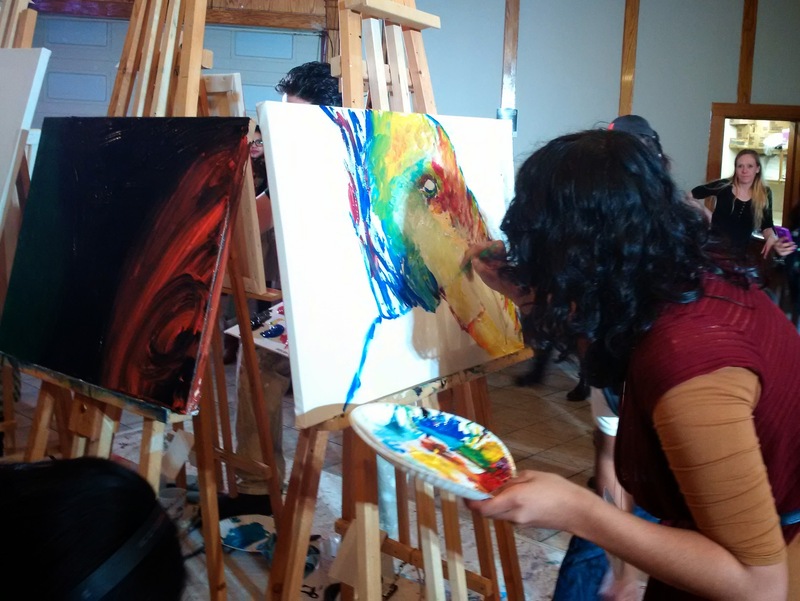 Sonia: I enjoy freestyle painting, just going with my emotions, but because of the crowd of people watching me paint I began to imagine their expectations. I am happier with my results in studio. 4C: What was it like competing against your sister? Sarah: I didn’t really feel like it was a competition at all. We really respect each other’s styles. I was just grateful that my first piece wasn’t as ugly as I thought it was going to be, so I already felt like I had achieved what I wanted. I feel like the whole event wasn’t about me competing against other artists. I felt like I was competing against myself. I just wanted to be proud of what I could make in 20 minutes. Sonia: Overall I had fun with Art Battle. For me and my sister, Art Battle was something we did to have fun. There were many talented artists there who probably knew the same stress I was going through, but ultimately, we all had fun. 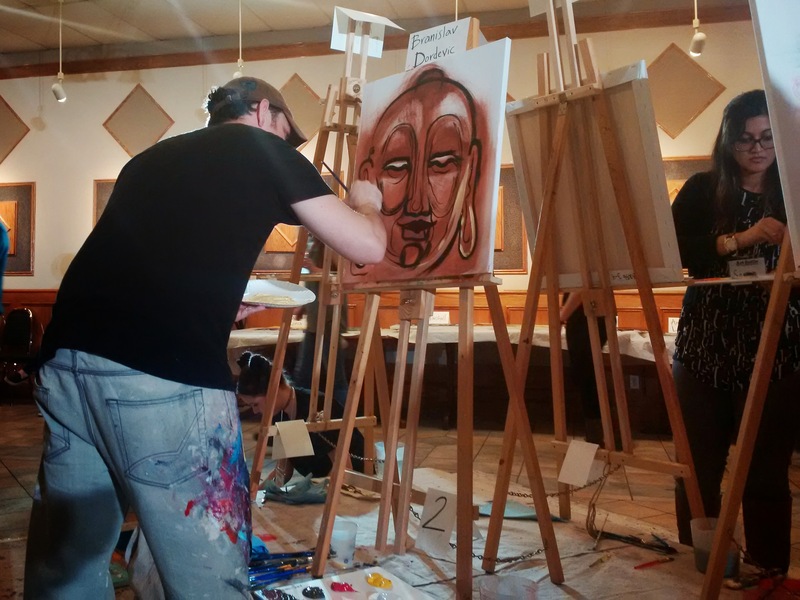 Art Battle was a great event to also meet new people and network.